Waterfront! 2018 gross income $161,465. 2019 ytdgross rental income $18,522. Wonderful opportunity to own one of the best resort locations in this low density complex of only 8 condos. A classy design with a front row bayviews. A fabulous 3 bedroom, 3 bath, condo boasts tranquil dcor with a combination of blues and whites which blends seamlessly with the surroundings. An open floor plan of 1253 offers granite counters, wood shaker cabinetry, stainless steel appliances, breakfast bar, dining area, diagonal tile flooring, recessed lightings, crown molding, and a spacious living area which opens onto the lanai through sliding glass door. The bayfront lanai is wonderful place to start your day with a majestic sunrise views. A master-suite with built-ins, beautiful views of the pine island sound. En-suite bath with double vanities, granite counters and walk-in shower. Both guest bedrooms overlook across the golf greens and out to the gulf to be mesmerized by south seas spectacular sunsets. 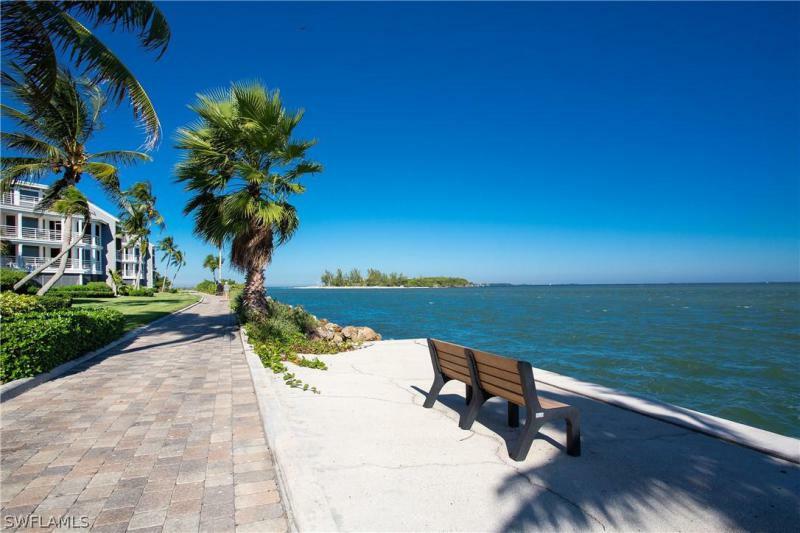 Seabreeze is located within the resorts north village and almost at the tip of captiva. Resorts private home rental program. 2018 gross income: $161,465. 2019 ytd march gross rental income $81,627. Fabulous one week timeshare unit on world famous captiva island. This is the sale of a one week timeshare week #3 - unit 1506. Gorgeous, remodeled & updated 2 bed/2 bath corner end townhome overlooking the south seas resort golf course and the gulf of mexico. The cottages are spacious 2 story townhomes with soaring ceilings & a loft. As a corner unit, #1506 has more windows and natural light. It can sleep eight guests. Enjoy breathtaking sunsets on the 2 story lanai and feel like a star living in paradise! These are the largest of all the timeshare units in south seas resort and have their own pool as well as close proximity and use of the large resort pool. Amenities at south seas include the resort pools, restaurants, trolley, fitness room, beach chairs & umbrellas for use on the beaches just steps away! All included in the maintenance fees. Fees of $1,899. 51 also cover taxes, reserves, operating expenses and arda. A 9 hole golf course, marina, fishing pier, tennis and other amenities are also available. Escape the cold january weather & relax in our vacation retreat here on captiva!! Island life is waiting for you here! Fabulous one week timeshare unit on world famous captiva island. This is the sale of a one week timeshare week #4 - unit 1506. Gorgeous, remodeled & updated 2 bed/2 bath corner end townhome overlooking the south seas resort golf course and the gulf of mexico. The cottages are spacious 2 story townhomes with soaring ceilings & a loft. As a corner unit, #1506 has more windows and natural light. It can sleep eight guests. Enjoy breathtaking sunsets on the 2 story lanai and feel like a star living in paradise! These are the largest of all the timeshare units in south seas resort and have their own pool as well as close proximity and use of the large resort pool. Amenities at south seas include the resort pools, restaurants, trolley, fitness room, beach chairs & umbrellas for use on the beaches just steps away! All included in the maintenance fees. Fees of $1,899. 51 also cover taxes, reserves, operating expenses and arda. A 9 hole golf course, marina, fishing pier, tennis and other amenities are also available. Escape the cold january weather & relax in our vacation retreat here on captiva!! Island life is waiting for you here!